At 7.20am, the temperature is around 30C, the air feels close and clammy, and I’ve drunk so much water it’s sloshing around in my tummy as I run. 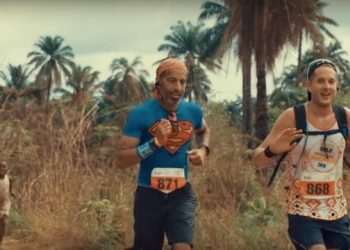 The Sierra Leone Marathon takes in the mandatory 26 miles and a bit around the northern market town of Makeni, through sleepy rural villages and up steep forested hills on bumpy terracotta-coloured tracks: it’s not for the fainthearted. So instead, I’m running the six-mile race around Makeni’s lively streets. In total, we’re just 620 runners, a small number for a marathon that won Best International Event in the 2017 Running Awards, even beating big hitters like Berlin. 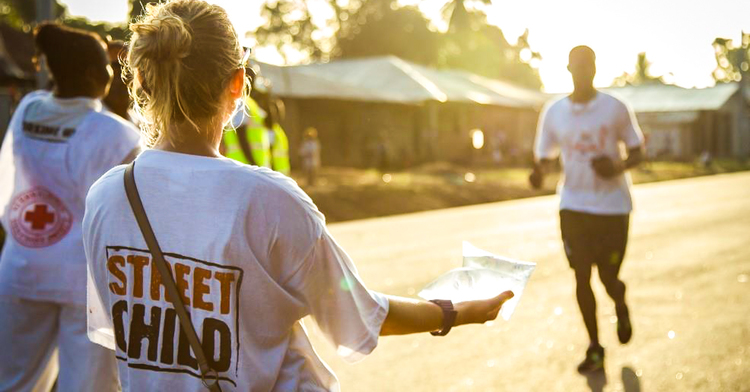 That the run is happening at all is a testament to Sierra Leone’s resilience. The West African nation became one of the poorest in the world after a brutal civil war that ended in 2002, leaving more than 50,000 people dead. Then, just two years ago, Ebola scourged the country, killing almost 4,000 people. 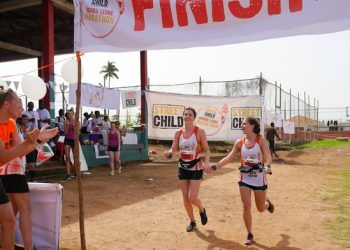 This marathon, organised by UK charity Street Child, is helping to raise funds for children across the country, including the 12,000 or so orphans the disease left in its wake. Visiting remote schools and frenetic local markets, we’ve already met families who benefit from Street Child’s work. 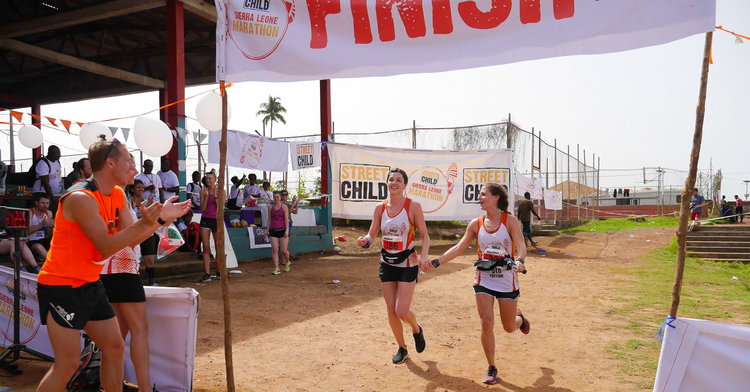 It’s all part of a five-day package the charity organises for the runners, which involves seeing their projects, doing the run and then indulging in some well-deserved downtime on Sierra Leone’s beautiful beaches. 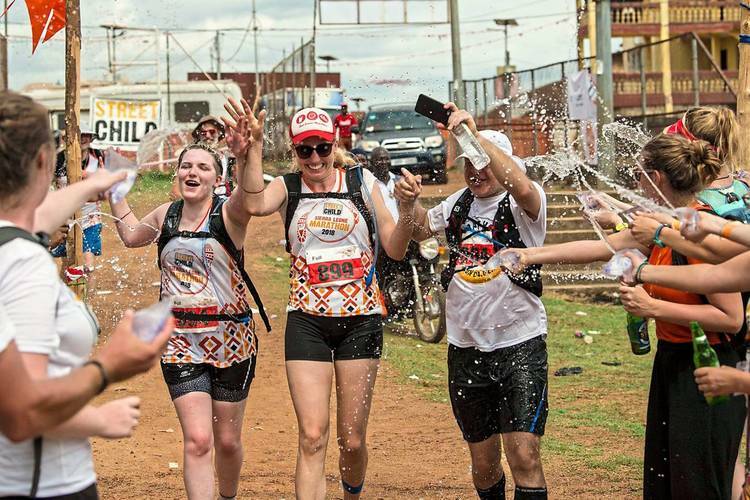 Makeni is buzzing with spectators cheering us on as we run, many of them beneficiaries of Street Child, standing outside their single-storey, mud-brick homes. We pass by local bars, butchers, barbers and bakers, most of them closed at this early hour. Dogs lie flat out on the road, semi-comatose in the heat. As I run, excited little children run with me, high-fiving or shouting out “Oporto! Ow di bodi?” in the local Krio language: “White person! How are you?” In fact, ‘di bodi’ isn’t too good; a dodgy tummy had kept me up all night and I’m not sure — bearing in mind that medic’s ominous warning — whether I’ll make the full six miles. Yet I feel strangely energised. 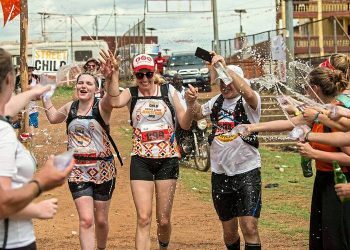 Perhaps it’s the endorphins going into overdrive, the cheering crowds or the inspiring, humbling sight of single-leg amputees running on crutches, victims of the devastating civil war. Or maybe it’s the people shouting “thank you!” and waving as I pass, reminding me why I’m here. Like Forrest Gump, I just keep on going. One hour and one minute after starting, I cross the finishing line to whooping and whistling from the crowd, and African hip-hop blaring out of boom boxes. As indisputable proof that I’ve done it, someone puts a hand-carved wooden medal, bearing the words ‘Street Child 2017 SLM’, over my sweaty head. On stage, a six-year-old girl in a neon yellow T-shirt starts singing a weird rap version of If You’re Happy and You Know It, Clap Your Hands. I’m probably clapping louder than anyone else in Makeni.